Für Server HP ProLiant DL580 G5 ML350 ML370. You need it urgently - just let us know. HP Netzteil 1000W ATSN 7001044-Y000 380622-001 379124-001 403781-001 399771-001. Dell Laptop Netzteil HA45NM140 (DA, LA) 45W DP/N 00285K, 0YTFJC Inspiron 15. Alle Teile sind gebraucht aber 100 % in Ordnung! A forklift is not required. The BH Promise. General Interest. PCs & Workstations. Blade Servers. Tower Servers. Rack Servers. Build Your Own. • Capacity per Module: 16GB. • Type: DDR3 SDRAM. • Form Factor: DIMM. • Bus Speed: PC3-10600 (DDR3-1333). • Custom Bundle: No. Lot of 2 AMD 6378 OPTERON PROCESSOR 2.40Ghz 16 CORE / SOCKET G34 / OS6378WKTGGHK (pr441). Condition is Used. Shipped with USPS Priority Mail. This board support 80%-90% 17"-42" LCD monitor. Board Size: Approx. 30 Pin Cable Length: Approx. 12 Pin Cable Length: Approx. Color: Refer to the image. Have stable performance. Dell Part#: Y383M, JPMJ3 OR EQUIVALENT. Dell PowerEdge R415. Dell PowerEdge R515. Dell PowerEdge R510. INCOMPATIBLE W/ THESE MODELS: R210, R210II. We might require you to send us photo/s of the item received and also your original item so we can compare and conduct necessary actions. Reines Mainboard, ohne Zubehör - insbesondere RAM, CPU, Heatsink, etc. You need it urgently - just inform us. Dell Part#: Y383M,K869T, 0Y383M OR EQUIVALENT. 1 x IDRAC 6 ENTERPRISE. Dell PowerEdge R510. Dell PowerEdge R610. Dell PowerEdge R710 NOT COMPATIBLE W/ R210 AND R210II. Dell Part#: Y383M OR EQUIVALENT. Supports RAID 0,1,5 and 6. All hard drives are fully tested by performing a HMG Infosec Level 5 wipe on them. This is for both our protection and yours. Dell K869T IDRAC6 Remote Access Enterprise T310 T610 T710. • PowerEdge T310 T610 T710 iDRAC6. • Great Part to replace the broken and non working IDRAC6 ENTERPRISE. • 1 x Idrac6 Remote Access Enterprise. Rank: 2Rx4. SK HYNIX P/N: HMA42GR7AFR4N-TF. Number of modules: 1 x 16GB. Server Parts. Asset recovery and recycling services. Number of pins: 288. Plating: Gold plated. Cas Latency: CL15. Removed from working unit. The listed prices do not apply. Very Good Condition. We stand behind our products. 2 Units / order. 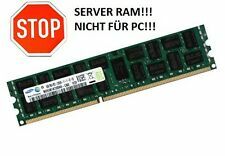 4GB (2x 2GB) DDR2 RAM Arbeitsspeicher PC6400 U. JEDEC Norm: PC3-8500R. Speicher ist nicht für PCs geeignet. Wir finden sicher eine Lösung! Frequenz: 1066 MHz. 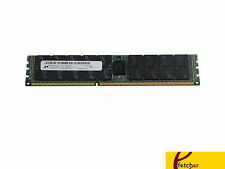 64GB (8x 8GB) DDR3-1600 Samsung PC3L-12800 ECC. INCLUDED: PERC 6I 512MB Integrated raid card with battery and cables. 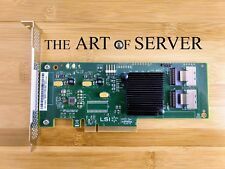 A must have item if you want to upgrade your R710 3.5" server from SAS 6/iR to PERC6I. COMPATABILITY: R710 3.5" CHASSIS. RAID LEVEL : RAID 0, RAID 1, RAID 5, RAID 6, RAID 10, RAID 50, RAID 60. 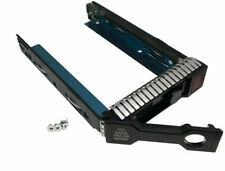 Manufacturer: HP Part Number: 656089-001 Warranty: 6 Months Shipping: Free Fed Ex ground or USPS shipping. Model TV440. Model TV440 is the professional's choice for a 1U rack cooling option. Featuring 4 TV40 fans that produce a high airflow with low noise. The Intake model TV440 blows air into the rack. Step Code: SR0P5. Socket: LGA1155. Series: Xeon. All of our CPUs are tested and cleaned before dispatch. We are aware that mistakes and problems can always occur but we will endeavour to get any issue resolved as quickly and fairly as possible. For HP Smart Array P410, P411, ProLiant ML350 G6. Alle Teile sind gebraucht aber 100 % in Ordnung! Dell Laptop Netzteil HA45NM140 (DA, LA) 45W DP/N 00285K, 0YTFJC Inspiron 15. HP Smart Array P410, P411, ProLiant ML350 G6. Part Number(s): 46M0861, 46C8933, 68Y7336. Model: ServeRAID M1015. All of our RAID cards are tested before dispatch. RAID Levels We are aware that mistakes and problems can always occur but we will endeavour to get any issue resolved as quickly and fairly as possible. 379123-001 HSTNS-PD05. HSTNS-PR01 380622-001 379124-001 403781-001. HP PN: 379123-001. Gesamtleistung 1000 Watt. Er passt problemlos in Taschen und nimmt auf Tischen wenig Platz ein. Kompatibel zu HP DL380-G5, ML350-G5, ML370-G5. P/N: SLBYL. 6x 3,06GHz. 12 MB SmartCache. Kein weiteres Zubehör vorhanden. Einwandfrei funktionsfähig. Geprüft & gereinigt. Sockel LGA1366. 6,4 GT/s QPI. HexadecaCore AMD Opteron 6380 Prozessor - 16x 2,5 GHz - Sockel G34 - 6,4 GHz HyperTransport - AMD P/N: OS6380WKTGGHK. Bezeichnung: Opteron 6380 (AMD P/N: OS6380WKTGGHK). Dual-, Quad- oder Octa-Prozessor Betrieb möglich. TheAMD OS6386YETGGHK Processor is essential for the performance of your system, as it handles all instructions it receives from the hardware and software running on your system. Product Specifications. Modell: Smart Array P410. Dell Laptop Netzteil HA45NM140 (DA, LA) 45W DP/N 00285K, 0YTFJC Inspiron 15. Technical data / Technische Daten. 2x SAS Kabel SFF-8087 auf SFF-8087. Data Transfer Rate / Datenübertragungsrate. Original Dell PowerEdge R510 LGA1366 CPU Processor Heatsink 6DMRF FREE SHIPPING!